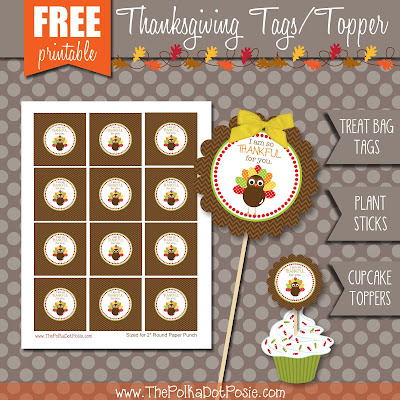 The Polka Dot Posie: Our Favorite Thanksgiving FREEBIES! With Turkey Day a little over a week away, it's time to start planning and prepping! 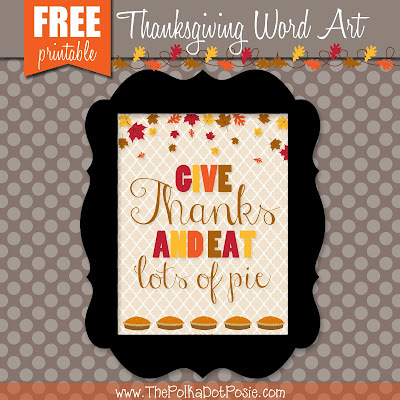 We've got a bunch of great Thanksgiving Freebies to share with you today. First up, we have our popular Thanksgiving planner pages to help you organize your menu, plan a shopping list, tackle cleaning and kitchen prep, journal your thanksgiving memories AND a coloring sheet for kids (or adults). After we shared our super cute Thanksgiving Lunch Box Notes last year, a few friends told us that they actually used them for their Thanksgiving kids table! What a GREAT idea! 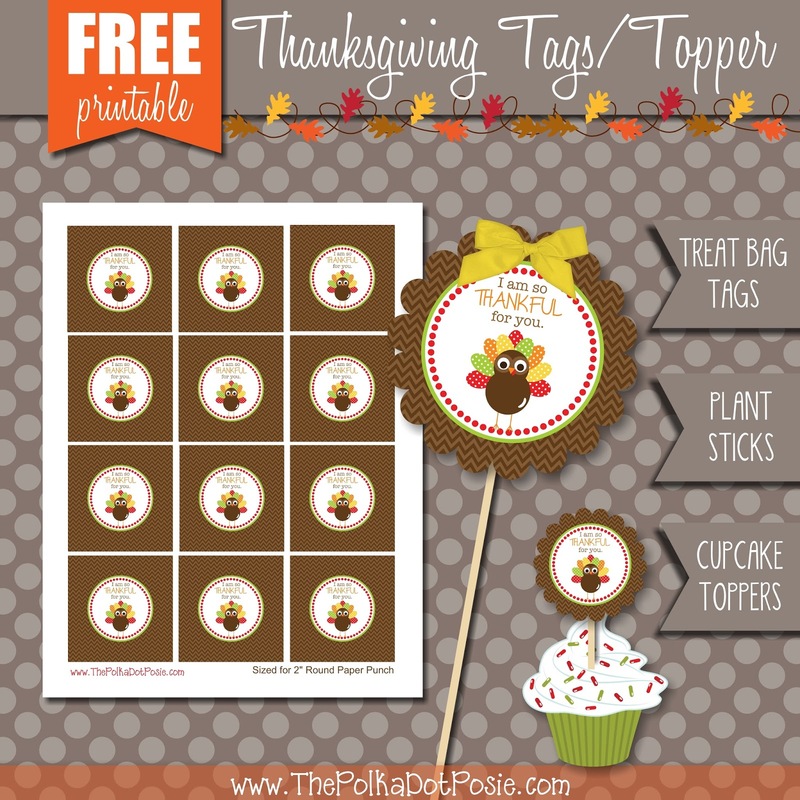 Next up, we have a new "I am Thankful for You" sheet of 2" printables that you can use as treat bag tags, cupcake toppers, or plant sticks! All you need is some heavy card stock and a 2" paper punch! 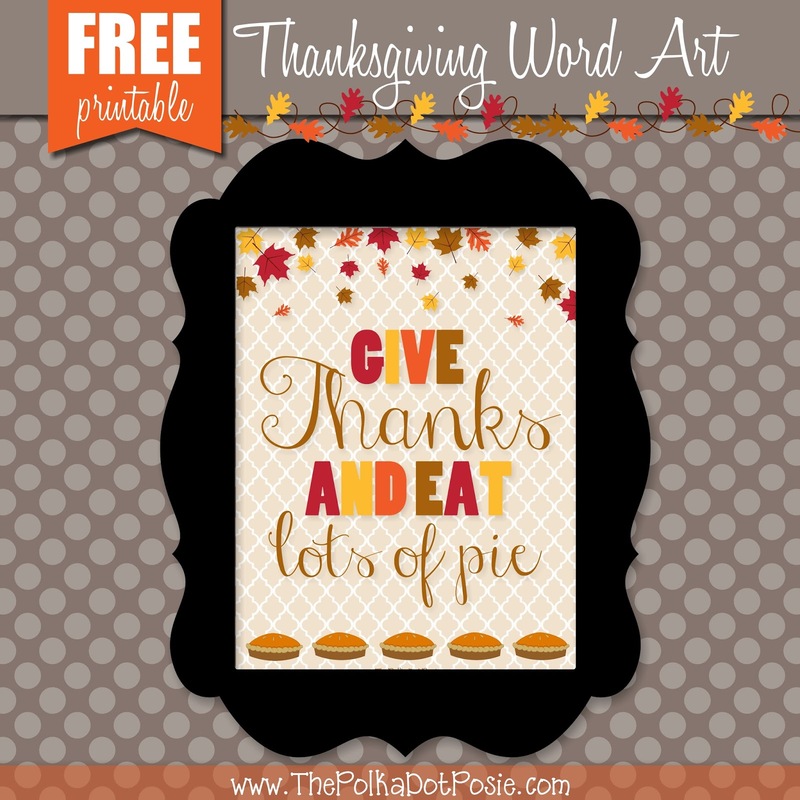 And finally, our newest Thanksgiving Freebie is this printable word art!! It is sized 8x10 so you can print and frame it for your home or give it as a hostess or teacher gift! Happy Thanksgiving to all of our wonderful friends and customers! We are so thankful for all of you!